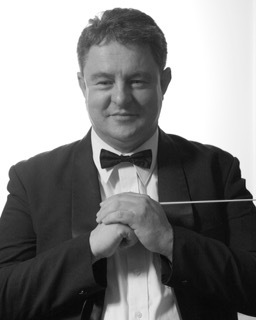 Gyula Cseszkó (Jules) has kindly agreed to conduct our August concert because of our good friend, Mark Shiell’s shoulder problems. Jules studied in Melbourne with the Late Professor John Hopkins, along with Raymond Yong, Mario Doberning and Mark. Jules also spent 18 months doing further research under John for his thesis. Jules knows the programme and is very keen to work with us. We are looking forward to meeting him this week-end when he comes for our preliminary rehearsal workshop. He admits to being a great lover of Beethoven. Jules has a lot of conducting experience. He is the founding conductor of the Melbourne University Biomedical Students’ Orchestra which played its first concert just a couple of weeks ago performing Shostakovich’s Festive Overture, Sibelius’ Violin Concerto and Beethoven’s Seventh Symphony. He has also conducted the Dandenong Ranges Orchestra, the Hawthron Orchestra’s 20th Anniversary Concert covering Copland’s Common Man Fanfare, Beethoven’s Emperor Concerto among other pieces. He has also conducted the Royal Melbourne Philharmonic, the Melbourne Conservatorium Orchestra,, the Zelman Memorial Symphony Orchestra, the Melbourne Lawyers and Monash Medical Orchestras. He also founded the professional Chamber Orchestra, La Fratenita di Solisti Chamber Orchestra for five years.